I was recently invited to a lunch at De Hoek Country Hotel. De Hoek is a beautiful five star boutique hotel based in Magaliesburg. 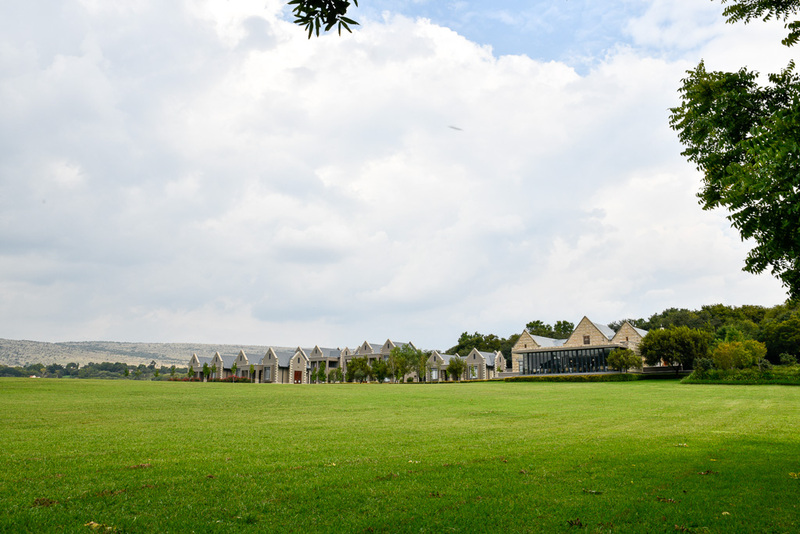 It’s the perfect place for quick trip away from the hustle and bustle of Johannesburg. 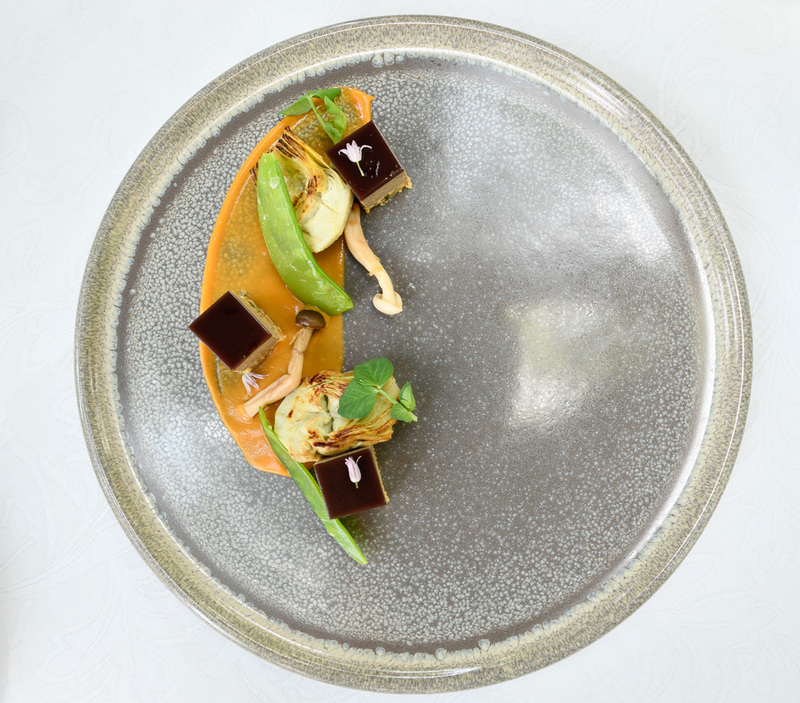 De Hoek has recently appointed a new Executive Chef, Jacques Swart, who previously worked at both The Michelangelo Hotel as well as The Four Seasons Westcliff Hotel. Suffice to say, I was looking forward to trying his four course lunch menu. 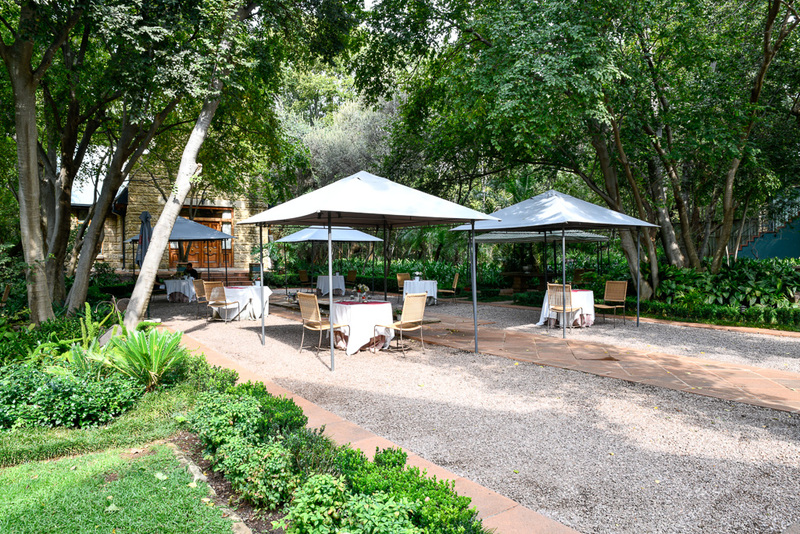 We arrived at the gorgeous De Hoek Hotel and made our way through the tranquil and peaceful surroundings to be greeted at reception. Thereafter we were seated at a shaded table outside in their immaculate garden. We started with a glass of Neil Ellis sauvignon blanc before being greeted by Chef Jacques who came to give us an idea of the kind of menu we were in for. 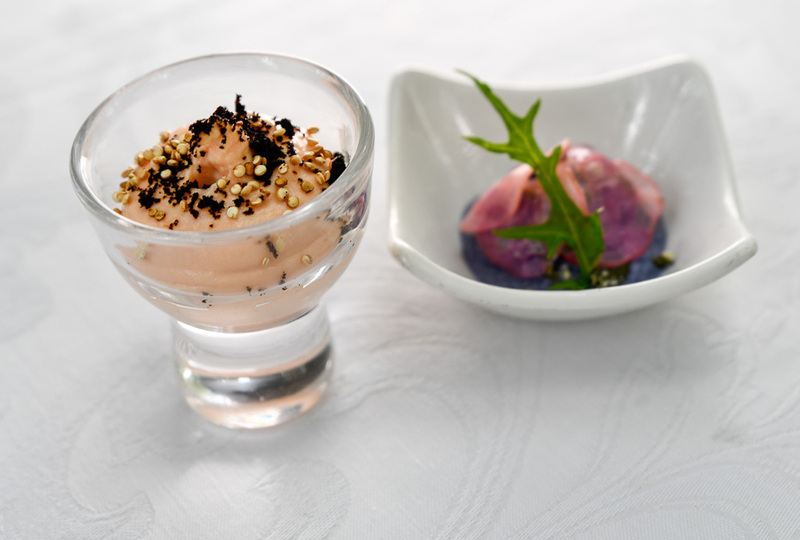 The first course was poached salmon mousse with burnt onion powder and red cabbage pate with gin pickled radish. The mousse was smooth and creamy. I often find salmon can tend to be rather strong and overpowering for my taste but this was a really tasty and well balanced amuse-bouche. 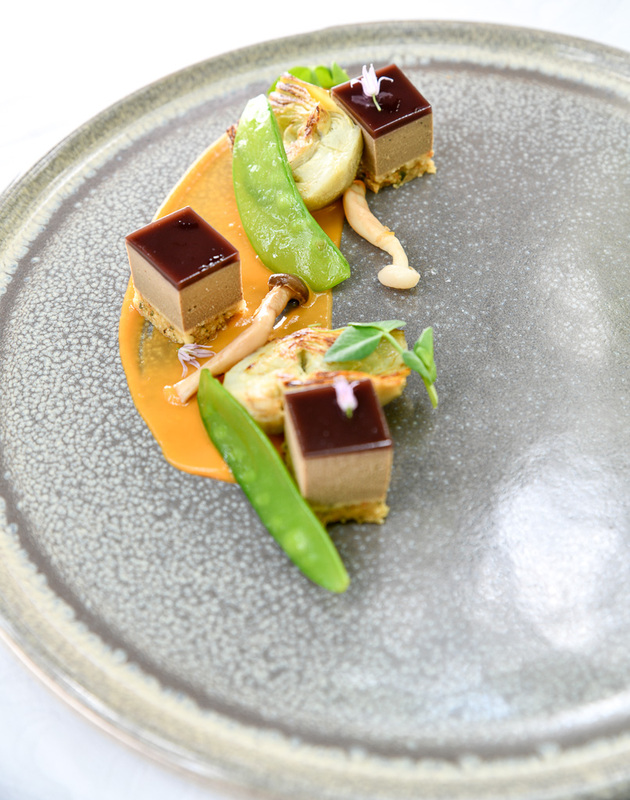 The second course was a duck liver parfait served with mangetout, shimeji mushrooms, grilled artichoke and a paw-paw puree. 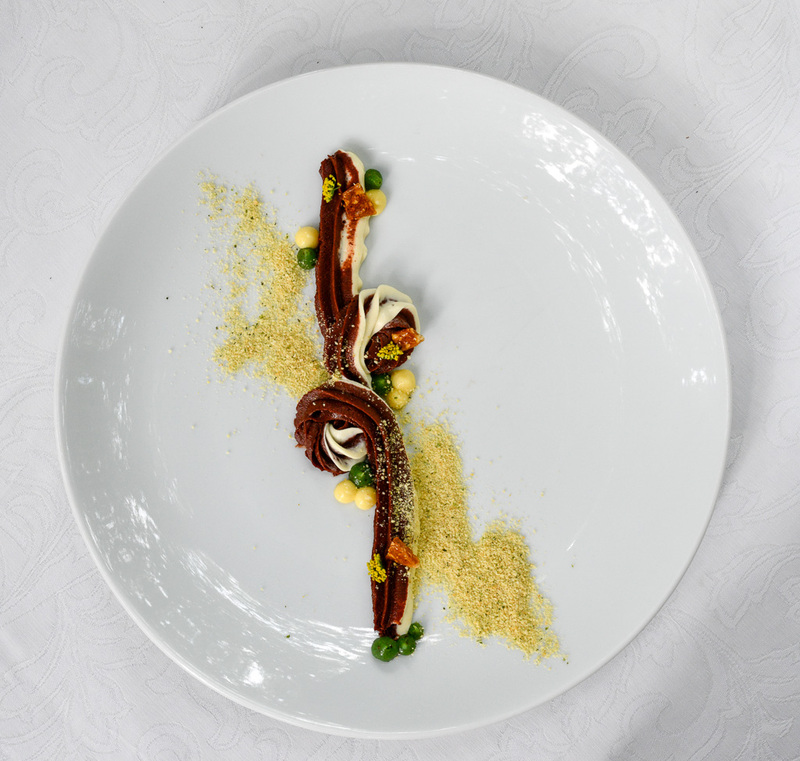 This was a really beautifully presented dish and it tasted great too. 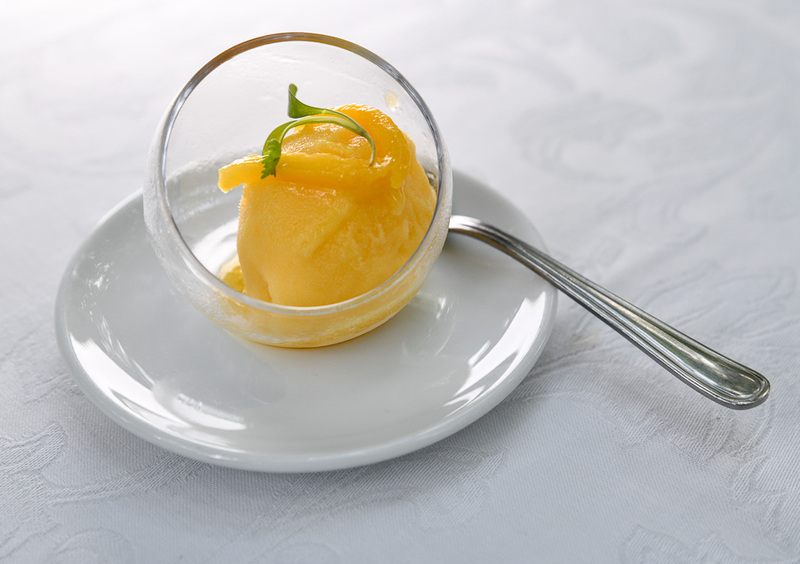 We were then served a delicious mango sorbet as a palate cleanser. Loved this fresh and sweet flavoured sorbet. For our main course, we were treated to a Mauritian seabass meal… and what a treat it was! The seabass was served with roasted baby carrots, onion puree, parsley pesto, fig and beetroot dust. 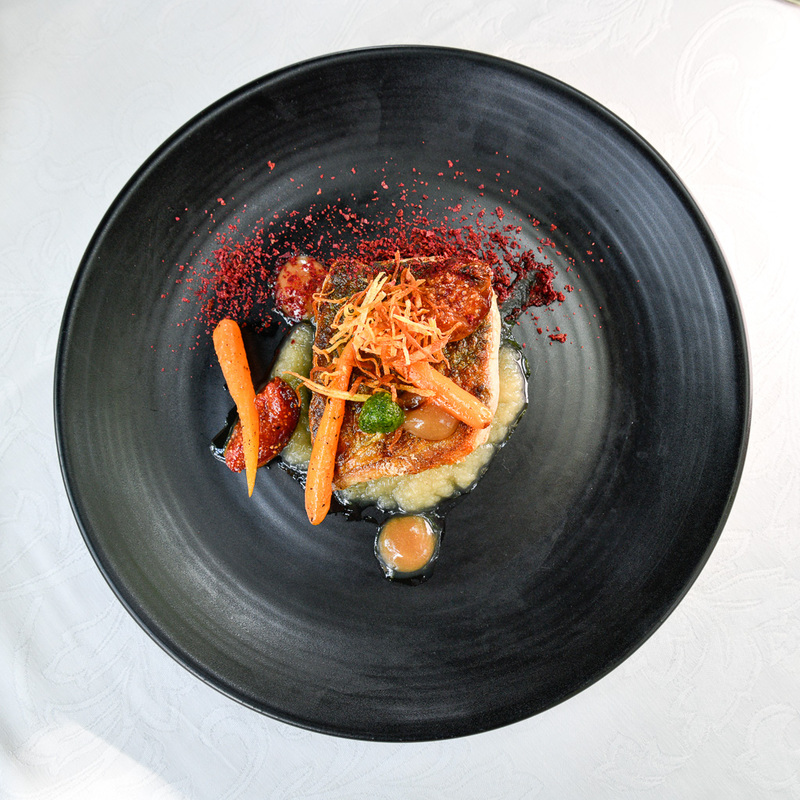 The fish was beautifully cooked and I absolutely loved the original flavour combinations conjured up by Chef Jacques. Loved this dish! For dessert we were served a duo of white and dark chocolate mousse with kiwi gel, passion fruit cremeux and thyme sable soil. It was a rich, decadent and enjoyable dessert. The service at De Hoek Hotel was exceptional and we were truly made to feel very special. The surroundings are absolutely beautiful; there is a definite sense of peace and calm in the pristine gardens. 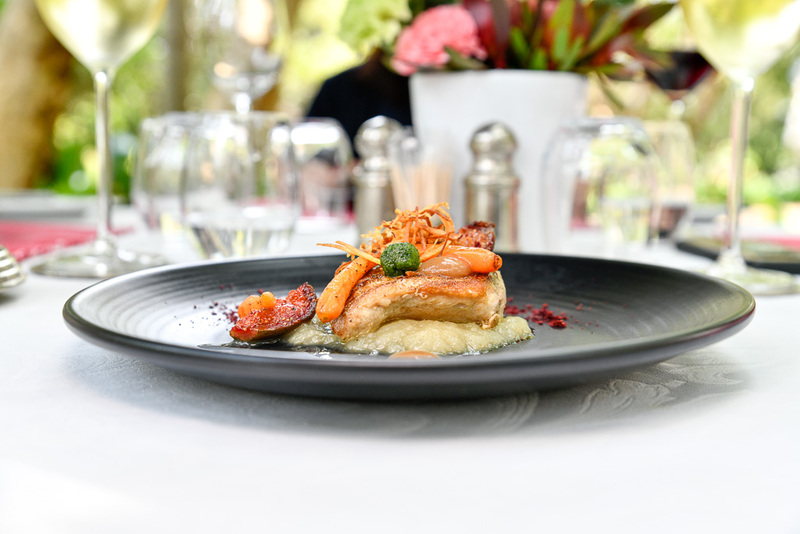 I thoroughly enjoyed my experience at De Hoek Country Hotel and look forward to visiting again soon for another lovely lunch and perhaps even a quick weekend getaway.